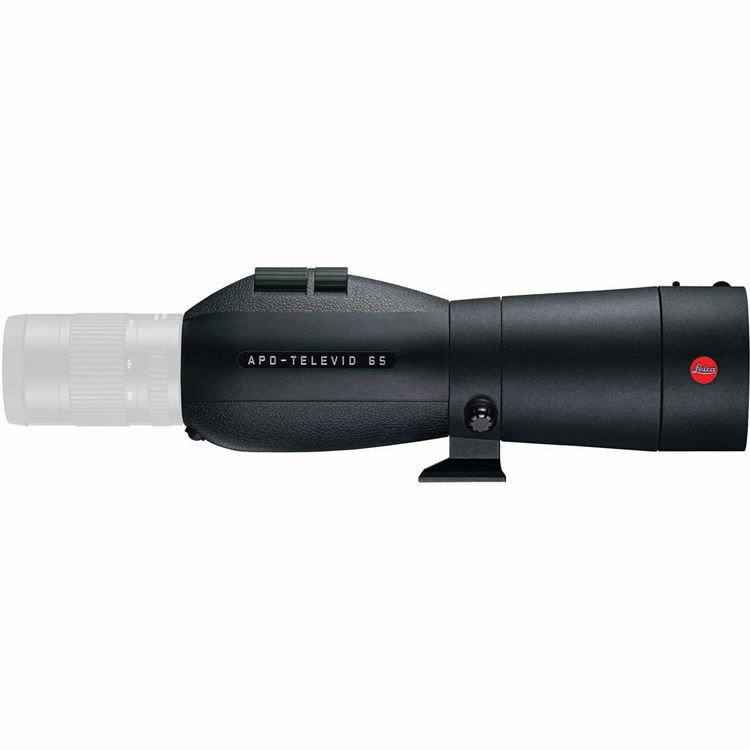 The straight view configuration APO Televid 65mm Spotting Scope from Leica combines premium optical elements with a weather sealed housing and a proprietary micro-focusing system. Four fully multicoated apochromatic lens elements and a Schmidt prism system form the core of this optical instrument. Leica's fluoride apochromatic glass is engineered to transmit luminous images that are geometrically flat from center to edge and color-faithful across the entire visible spectrum. When paired with Leica's 25-50x wide angle aspherical zoom eyepiece (separate purchase required), the APO Televid renders high contrast images that are rich with detail.